Undergraduate research (UR) is self-directed/designed academic work by an individual student or team of students that addresses a research question with the expectation of a scholarly or creative product intended for publication or presentation on or off campus. 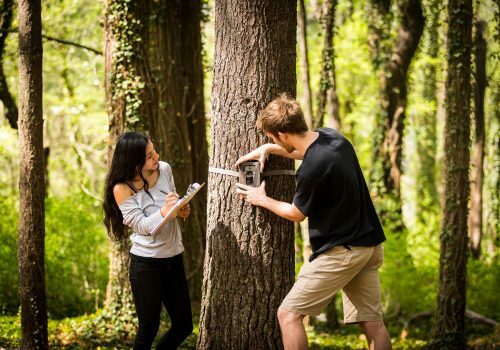 UNC Asheville founded the National Conference on Undergraduate Research (NCUR) 32 years ago and celebrated the milestone by bringing more than 4,000 undergraduate research students to campus in 2016. Current students can visit urp.unca.edu for information on upcoming deadlines, the grant application process and workshops, events, and more.